2017-10-18. Published in category Articles. Music is feeling. It is another realm of life on this earth. Music is faith and the healing of generations. And – music is power! I was running tracks through my adolescence and was going to be in the Olympics. I took part in the trials, and was very promising. What I brought from the athletics, to my journey in music, is stamina and the energy to move around. And I learnt to not give up from sports. I always listened to music while training – all kinds of music was playing. I knew that I wanted to be a singer. I moved to Portland all by myself, unafraid to be vulnerable by the time of my first album release, Embrace Me (2006). The record was about life lessons and my first experience at releasing my own music. By the time of the release of my album The Unexpected (2014) Prince had taught me so much about myself. He instilled confidence in me. He was my supernova, and he pushed me beyond my limits. From the very first rehearsal I had with him, when he told me that he could easily replace me, to push me, to all the talks we had on the phone, he expanded my mind. Our new album, First Things First (2017), is a fresh awakening. 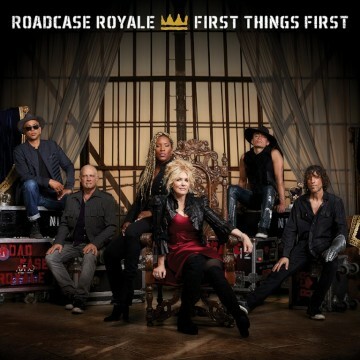 We (Roadcase Royale) wrote the album in such a short space of time, and it was such a great collaboration between amazing writers. I want to be in the studio all the time now! Nancy Wilson is a true earth angel, open to all sounds, and she is pushing me as a writer. Liv Warfield is a successful singer and songwriter, and a Peoria native. She is based in Chicago and Portland. 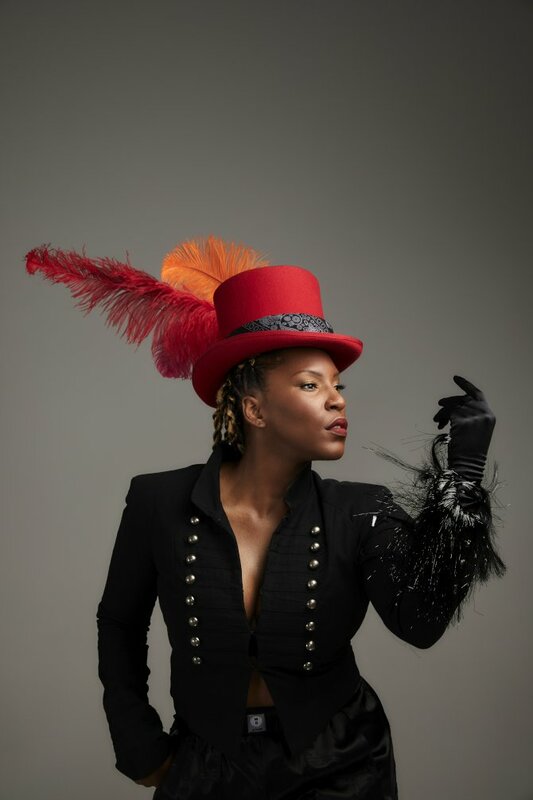 After moving to Portland as a teenager, to pursue her ambitions in sports, Warfield among other things honed her amazing singing skills, singing in karaoke bars through the nights, before she conquered her shyness and released her debut album. 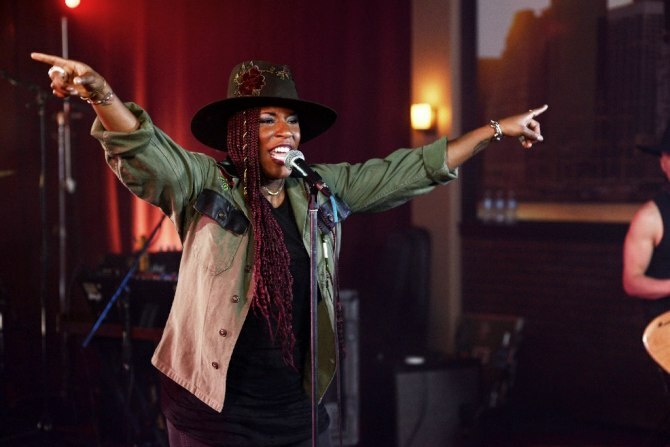 It caught Prince’ attention, and the music legend made Liv Warfield a member of The New Power Generation. 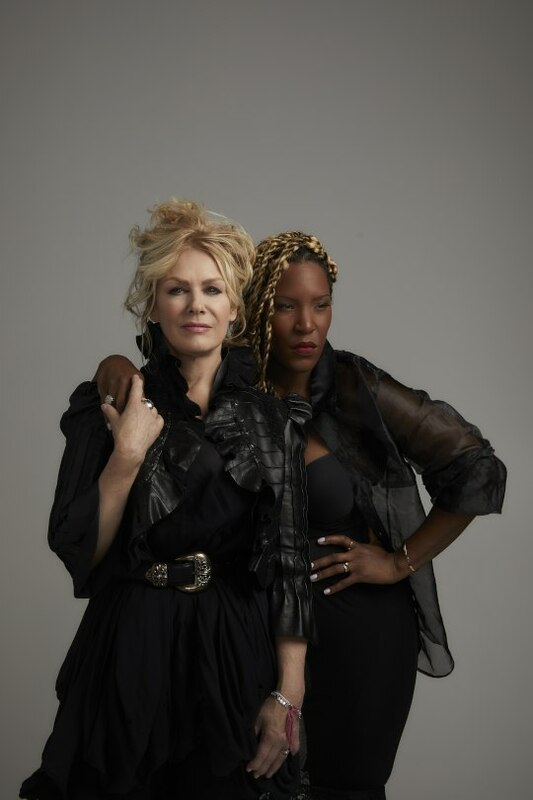 In 2017 Liv Warfield has released First Things First, the debut album from the new supergroup Roadcase Royale, which she fronts with Nancy Wilson.